Separation anxiety, OCD, impulsivity, aggression, tics, eye blinking, grunting, deterioration in hand-writing, sensory issues, attention deficit, hyperactivity, alternating moods, violence to parents or siblings, severe tantrums, oppositional defiance, restricted diet or even anorexia due to difficulty swallowing, urinary frequency, bed-wetting and day-time accidents, trouble falling asleep or staying asleep, nightmares: the list is long! This is the constellation of symptoms I have seen in children who have come to me for homeopathy after getting a diagnosis of PANDAS. If cuddly black and white bears are all you associate with the word PANDAS, you are probably unaware of a condition called Paediatric Autoimmune Neuropsychiatric Disorders Associated with Streptococcal Infections. This is the name given to a condition which can come on suddenly, in a previously well child, after a Strep A infection such as “strep throat” or scarlet fever. A typical pattern is that symptoms tend to worsen for several weeks, and then subside, until a subsequent strep infection brings on another dramatic episode. The symptoms called PANDAS are not directly caused by the bacterial infection itself, but result from the way in which the body tries to fight the strep infection. When we are exposed to a bacteria our immune systems produce antibodies. Normally, these antibodies attack and destroy the foreign bacteria. Many people get a strep infection, which would usually be treated medically, and they recover with no lasting symptoms. Others can be carriers of strep, without ever showing symptoms. In a person who goes on to develop PANDAS, instead of attacking the strep, their immune system antibodies attack healthy tissue in certain parts of the brain, particularly the basal ganglia, an area related to movement and behaviour. 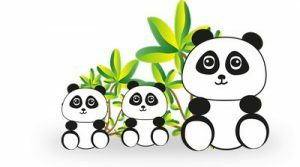 PANDAS was first identified by Dr Susan Swedo, Chief of the Pediatrics & Developmental Neuropsychiatry Branch of the National Institute of Mental Health (NIMH) in 1998. When PANDAS was first identified, it was thought to only occur in response to Strep A infection. Subsequently, other causative pathogens have been identified. Pediatric Acute-Onset Neuropsychiatric Syndrome or PANS refers to the sudden onset of the same symptoms associated with PANDAS, but in response to other infections such as mycoplasma, certain viruses, and Lyme disease. The dramatically sudden onset is characteristic of both. Parents often say it’s as if their child changed completely overnight. Since the immune system is attacking its own healthy tissue, I find it more accurate to think of PANDAS as an immune system problem, rather than a problem of Strep infection alone. From a holistic point of view, the aim is to balance and regulate immune system function by treating the child as a whole. 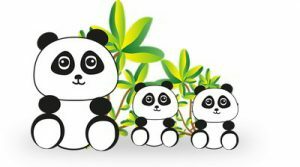 When we take a case history, frequently we find that a PANDAS child has had a compromised gut health from an early age. A baby inherits its gut bacteria from its mother, whose own gut bacteria may not have been optimal. Antibiotics may have been needed during or immediately after birth, or in infancy. Other factors believed to influence a baby’s gut health include Caesarean section, steroid medication needed by the mother before or during pregnancy and contraceptive medication, which may have been used for many years prior to conception. There is often, though not always, a background of emotional stress and trauma during pregnancy or ongoing family trauma or emotional stress in the child’s early life. Inherited susceptibility is also seen where family members may suffer from other autoimmune conditions. First we take a detailed case history which includes your child’s past health history, current presenting symptoms and details about his or her disposition and way of being. My first prescription is usually one or more supportive homeopathic remedies to target the current presenting symptoms of PANDAS. Often a first remedy is an overall classical “constitutional remedy” chosen to suit the child as a whole, mentally, emotionally and physically. If the case calls for it, I may begin with a remedy to deal with any residue of emotional trauma, either currently suffered by the child or experienced via the mother during pregnancy or birth. By releasing stored emotional trauma we can free up energy for healing. Bowel nosodes are another important aspect of the early phase of homeopathic treatment. This type of remedy is used to promote conditions suited to the growth of good bacteria in the gut. Constitutional homeopathy can include remedies based on inherited weaknesses and tendencies to certain conditions that run in the family (miasmatic remedies). Where needed, I can advise on acute homeopathic remedies, based on individual symptoms, to deal with any flares. While continuing with the above supportive remedies, I then add in remedies intended to improve the body’s capacity to detox. These can include remedies to support the bowel, gut, liver, kidneys and lymphatic system as appropriate to your child’s case. A small number of nutritional supplements may be added in to nourish body and brain and to assist detox. As part of the case history we will have pieced together a time-line of your child’s life and health. This can make it easier to see significant factors and possible connections that you may not have noticed before. It can help us to decide on the most appropriate detox layer to start with. When your child’s health is supported and ready, Homeopathic Detox remedies can be added in to address any suspected underlying cause. Homeopathic detox remedies do not have a chemical effect in the body. Rather they provide an energetic signal to the body to encourage it to release the effect of the toxin. It is the body itself which does the actual detoxing. I have extensive training and experience, both as a certified CEASE Therapist and a registered practitioner of Homeopathic Detox Therapy (HDT). With proper management and good organ support, a homeopathic detox remedy can be gentle as well as effective. Read more about my training in homeopathic detox here: about Carmel O’Keeffe. It is unlikely that any two children will have exactly the same detox list. My treatment is individualised for each child and part of the case taking involves constructing a detailed timeline to see what could be relevant. As much as you can, reducing your child’s toxic load will help. This includes lifestyle choices such as a clean diet, exercise and fresh air and adequate rest and sleep. Good nutrition is important for gut healing. A small number of vitamins will also be prescribed. The strongly out-of-proportion emotional symptoms are usually the first things I see showing improvement with homeopathy. These include fears, aggression and rage. My patients have reported a lessening in the intensity and frequency of tics at the same time or soon after. I often hear that bed-wetting has gradually improved and then stopped. In time, it’s not at all unusual for parent to get a report from school that attention or hand-writing or homework has improved. The time-frame for these improvements can vary depending on the complexity of the case. Complexity involves the presence of co-morbidities and / or the number and degree of possible toxic exposures in the case. Sometimes a single constitutional remedy will be used throughout and sometimes the remedy will need to be changed if some symptoms improve and others don’t. In complex cases, a series of remedies and detox courses may be needed to heal the child. Regular follow-up visits are an essential part of this approach. You can read more at: Homeopathic Detoxification at Leinster Homeopathy. If you are considering coming for homeopathy and would like to talk with me, you are welcome to avail of a free initial 20 minute Skype or phone chat.